Today, we are thrilled to announce that The Sales Lion will be merging with IMPACT. For years, both teams have had a close relationship sharing the same purpose, passions, values, and goals. Last year, we formed a partnership that allowed our two companies to work together, better educate and service clients, and co-host IMPACT Live 2017. In 2018, we’re making this partnership permanent. I will join Bob Ruffolo and Tom DiScipio as a partner of IMPACT, which was recently recognized by Fortune as one of the best SMBs to work for in the country. I will also be joining the IMPACT leadership team, helping to guide the overall direction of the organization. The Sales Lion (TSL) team, including George B. Thomas, Zach Basner, and Kevin Phillips will also be joining IMPACT and forming the new educational department offering workshops and trainings, premium content, and more. The HubSpot Intensive Training and Video Marketing workshops at TSL have been two of our most popular and will continue to be offered by IMPACT, with George and Zach. If interested, you can request a one or two day workshop at your location. 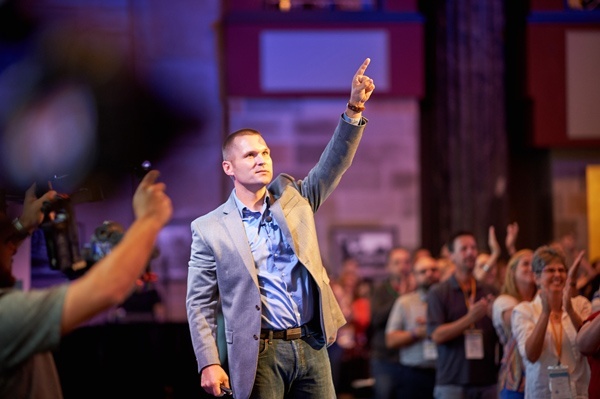 Where The Greatest Minds of Inbound Come TogetherJoin the unforgettable two-day gathering where marketing leaders grow and make valuable connections while actually having a good time. In 2017, IMPACT and The Sales Lion recognized significantly higher performance and happiness from clients that were trained by The Sales Lion and serviced by IMPACT, which makes this merger really exciting for everyone. IMPACT plans to expand and grow this department in 2018 with more talent, a wider variety of workshops and trainings, and new ways to consume this educational content. Frankly, this is just the tip of the iceberg as to what we have planned going forward. Our podcast for HubSpotters at TSL, The Hubcast, will live on and join the lineup of other IMPACT podcasts and shows which includes The IMPACT Show, Website Throwdown, MarketHer, and more. This venture marks the second time IMPACT has combined forces with another member of the HubSpot Partner community after merging with Quintain Marketing, led by Kathleen Booth, in 2017. All four members of Quintain have successfully taken prominent roles at IMPACT and Kathleen has recently taken over IMPACT’s expanding marketing and content team. All of The Sales Lion’s best content will soon be available on impactbnd.com and as a member of our community, you can expect regular article and video contributions from myself, George, and the rest of The Sales Lion team. This merger of IMPACT, a HubSpot Diamond Partner and the 2017 Partner of the Year, and The Sales Lion will arguably make IMPACT HubSpot’s largest global partner. For clients of both organizations, we expect there to be minimal impact (no pun intended) felt from the merger, however, if you’re a current client and you’d like to immediately take advantages of new offerings available, or have further questions, please let us know or talk to your primary contact. As you may have heard, IMPACT Live 2017 was a huge success last year, but, it’s nothing compared to what IMPACT Live 2018 in August will be. I’m stoked to return as the emcee and closing keynote, and other keynote speakers include Ann Handley, Dharmesh Shah, and David Meerman Scott. Tickets are on sale now and if you’re looking to be a part of the most intensive, take-away driven inbound marketing conference in the world, we hope you’ll join us later this summer in Hartford. Our obsession at IMPACT is helping people and their organizations succeed and we’re exhilarated that this merger allows us to help more people, and help them better, as they seek to find success with all things inbound, digital, and today’s changing buyer. Thank you again for being a part of this community and on a personal level, I cannot thank you enough for the support you’ve given us here at The Sales Lion over these past eight years.